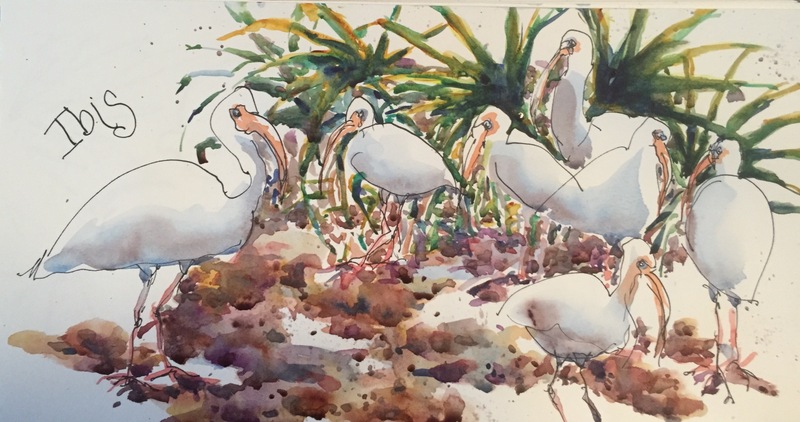 I counted at least eight sketches of ibis that I drew at the Key West Wildlife Center. 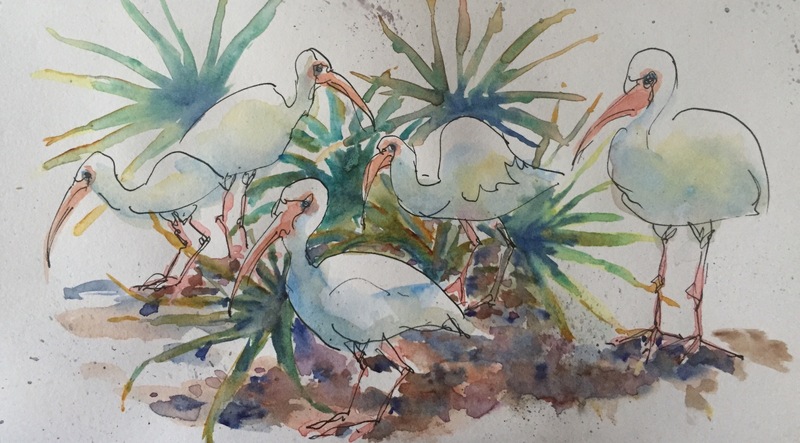 The ibis were painted with cerulean and piemonite. Makes a lovely purply color. The beaks are cad red and Winsor yellow. The legs the same with more Quin red added to it. The leaves are viridian Inathradone blue and Quin cold. And the ground. Any color I could use to give it texture. Go find an ibis. Great fun to draw.